There is no accounting for honesty and integrity, unless you are on the wrong side of the law. Cooking the books, so to speak, has been a long time practice for unethical businesses and entities for as long as human beings have been doing business and trading. It is only recently that certain mathematical and statistical information has helped forensic accountants to apply their investigative skills in a more effective and efficient manner than ever before in order to keep up with the crime. There are small, large and mega accounting firms that offer accounting services specifically geared towards the investigation of accounting records, be them paper or electronic. White collar crime never had it so bad. Forensics is the applied knowledge of a particular field for the sole purpose of an investigation of a crime. If a business could have a fingerprint, it would be called the balance sheet. Forensic accountants exist for the express purpose to look into those balance sheets and all accompanying information for the potential for embezzlement, fraud, insurance fraud, tax fraud, securities fraud, bankruptcy and even money laundering. Accountants can be hired to perform audits and are different than forensic accountants. Forensic accountants have the understanding that they may have to appear as an expert witness on the matter in future litigation. Forensic accountants may have specialties within their discipline relating to the law, medicine, the insurance industry and many other specialties. They use qualitative and quantitative methods to interpret and arrive at a conclusion in order to get to the root of financially questionable practices. At the turn of the twentieth century, the expansion overseas by some European countries created the need to protect their interests. Business expansion and business interests taking place on foreign soil introduced a higher likelihood for fraud. It became the accountants’ duty not only to keep the books but to protect the books. Although the word forensics was not typically in use at this time, the concept was. So it began to be the chief requirement of every accountant to detect fraud and expose it if possible. With the rise of the behemoth of technology, forensic accounting has had to keep pace. It has expanded well beyond simply detecting financial misrepresentation. Forensic accounting now includes the procurement of electronic data, which can include a plethora of information from one single company like expense reports, credit card information, company expenditures, loan information and much more. Forensic accounting procedures are a bit different than internal auditing procedures and purposes. For instance, there is a statistical law called Benford’s Law wherein lies the rule of naturally occurring sets of data, numerical and otherwise. For instance when analyzing a grouping of numbers, the first digit appears to be 1 about thirty percent of the time. If this is ever not the case, it is a clue to the investigator that there may have been fraudulent activity. 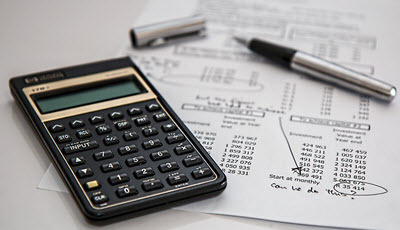 Forensic accounting is the practice of translating financial information from a grouping of organized data into a report with fitness for court. Armed with empirical evidence and financial data, the forensic accountant can un-cook the books and help to serve up justice.